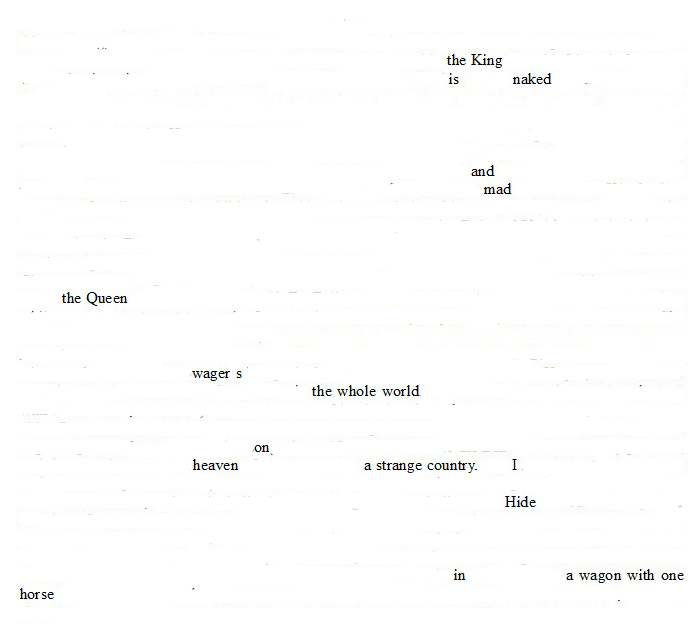 Erasure poem derived from The Diary of Samuel Pepys, Thursday 17 May 1660. Hi Dave. I hope you don’t mind! Mind? I’m delighted! Thanks, Clive. Then I’ll do some more. I’m at the gallop at the moment as it’s a bare week to the Soldier’s Tale rehearsals with Mid Wales Chamber Orchestra. Once that performance is out of the way I’ll see what other erasure poems at Via Negativa might be laid out with my existing stack of letters. Yes, I very much regret I won’t be in the UK in time to see that performance! I’m sure it will be brilliant. PS. Feel free to use the image here if you want to!